Jamaican reggae artist Sizzla has defended fellow singer Queen Ifrica from criticism over her recent use of homophobic language. Queen Ifrica, whose real name is Ventrice Morgan, made statements denouncing homosexuality at a concert for Independence Day in Jamaica earlier this month. The song also contains the word “fish” – a derogatory term for gay men. The Canada-based gay rights advocacy group, Jamaica Association of Gays and Lesbians Abroad, successfully lobbied to get Queen Ifrica axed from last week’s Rastafest International Reggae Concert in Downsview Park, Toronto. Reggae artist Sizzla told Jamaica’s Gleaner newspaper that banning Queen Ifrica from the event was a bad decision. 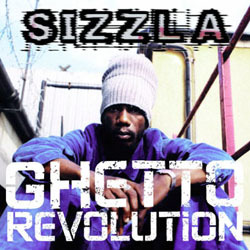 Sizzla, whose real name is Miguel Orlando Collins, is no stranger to anti-gay comments. He was prevented from performing in Sweden following a public outcry over his homophobic lyrics in March 2012. Shunning an opportunity to meet with LGBT rights campaigners in Jamaica, late last year Sizzla said: “I, personally, as Sizzla and president of the Nyabinghi theocracy, I don’t want no sponsor from no homosexual,” he declared. Meanwhile, a vigil will take place outside the Jamaican Embassy in London in memory of transgender teenager Dwayne Jones on Wednesday afternoon. The 16-year-old was stabbed multiple times and shot at a party in the Jamaican suburban parish of St James last month.